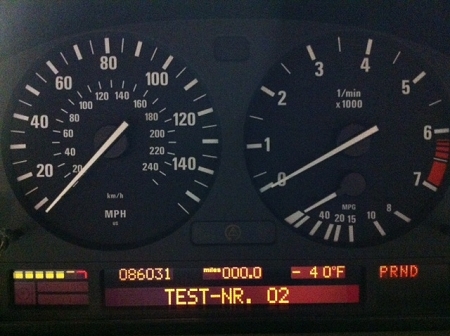 Professional instrument cluster pixel repair service for BMW 5 Series (E39), 7 Series (E38) and X5. Restores commonly failing LCD ribbon and LCD panel. Instrument cluster is properly / professionally disassembled by removing all stepper motor needles in order to gain access / remove the LCD "light cage" and replace the faulty ribbon and LCD assembly. Most other repair facilities and DIY articles use a shortcut method by drilling though the front face to expose and remove the 4 screws holding the "light cage" assembly required for removed in order to service the ribbon/LCD. We use premium silver ribbons (instead of common/basic carbon type) and OEM LCD glass for much improved durability and OEM color match/brightness.